I bet BB wouldn't bet on that. Nope Brady 48 in the XFL? Yup! I would not be surprised if Brady does intend to. I saw something few months back about someone mentioning 50. I don't know if it leaked but I did mention it other day in another thread and this comes out from AG. I don't know if TB can do it but I'm not betting against it. He’s a good man, and thorough. It depends how to read this sentence. Try it this way: Alex Guerrero Believes Tom Brady Can Play Until Alex Guerrero Is 50. Guerrero is already 54, so that’s a true statement. 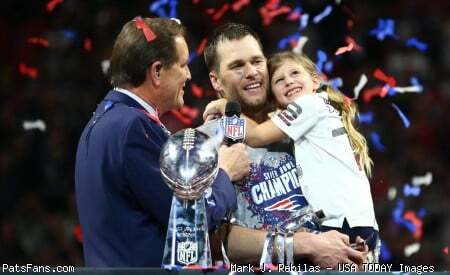 Brady is as close to a footbal god as there is but he will be lucky to play to 45. Injuries health, ligaments, tendons, family. Lot of factors are going to play into how long he goes. Highly doubt it. Btw this whole 50 thing is fabricated. Isn’t it? Yep. He needs more time to kiss them on the lips.